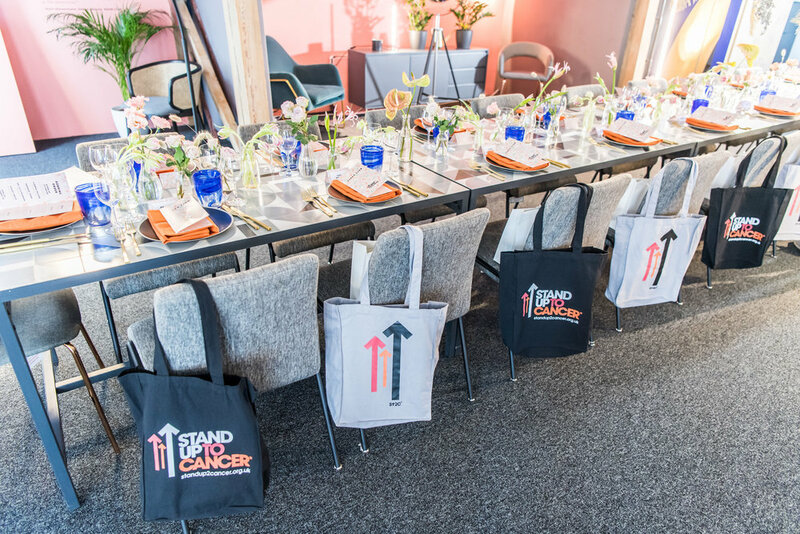 Jimmy Garcia Catering were honoured to cater for the Stand Up to Cancer dinner hosted at Made.com. Working with Tape agency the dinner was delivered for 24 guests at Made’s headquarters. 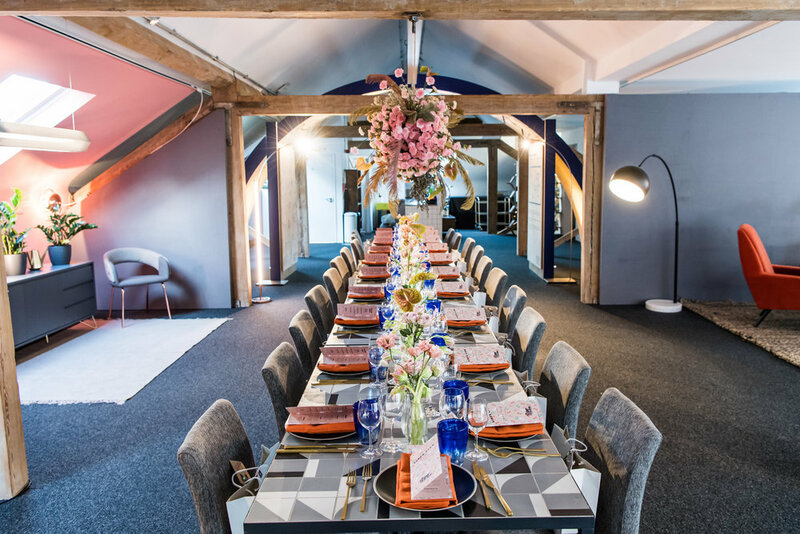 One long table was laid with an impressive floral display overhead. 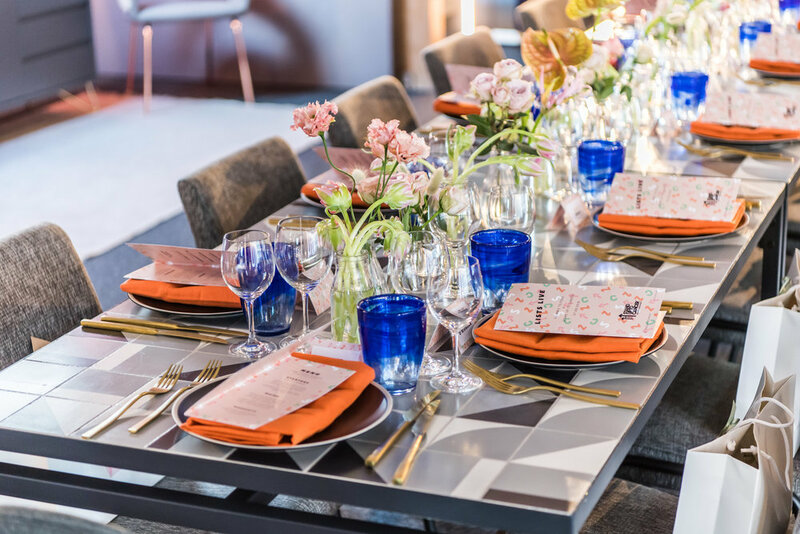 The table was full of colour with orange napkins, blue water glasses and soft pastel flowers. The hanging floral display was constructed of a variety of flowers - soft pink through to green ivy and feather like tendrils. Desserts were a clear crowd pleaser - Giant peach melba baked Alaskas. The baked Alaska with almond sponge, raspberry ripple ice cream, peach puree and peach meringue were placed between guests for them to dig in and enjoy. The evening was hosted by influencer Clemmie Telford. In between courses guest speakers shared their stories about how they had been effected by cancer. An emotional dinner for a great cause, that we were very proud to support.